Nearly 550 riders aged from two to 50 will compete in the event, which is a qualifier for the national and world championships. Club vice-president Sandra Wilson-Savill said members had completed a huge amount of track work and building infrastructure in the past 18 months. ‘Since our track upgrade, we have now become the equal biggest club in WA, with 170 riders racing each week and new members signing up weekly,’ Ms Wilson-Savill said. 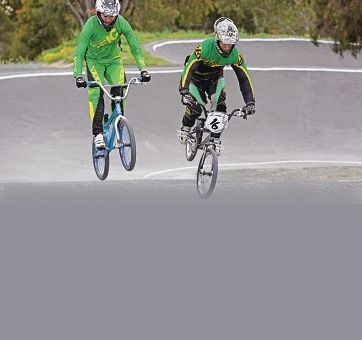 ‘BMX is a growing sport in Australia, with a 76 per cent increase in membership in the last 12 months. The event is open to the public and spectators can attend free between 8.30am and 4pm. Email southsidebmx.com for more details.